Côte d’Or may be small in size but its influence is huge and it can strike terror into the heart of even the most seasoned wine professionals. Côte d’Or is located in the very heart of Burgundy and stretches for a narrow 35-mile band. It’s on this terroir that some of the world’s best known wines are produced. There are two main sections. The Côte de Nuits, named after the village of Nuits-Saint-Georges, is a mere one mile by 12 miles but it’s home to 24 Grand Cru vineyards and some of the world’s most expensive vineyard real estate. This is the northernmost region, starting just south of Dijon and running to Courgoloin, a few kilometres south of Nuits-Saint-Georges and it grows mainly Pinot Noir and other red grapes. It is responsible for some of the great names of French wine, Gevrey-Chambertin, Nuits-Saint-Georges and Beaune itself. The second part, the southerly Côte de Beaune, is well-known for its whites but actually grows both Chardonnay and red grapes. One of the most famous villages in the Côte de Beaune is Pommard, known for its heavy, full-bodied reds. It’s an intimidating terroir but Raymond Blake’s companionable Côte d’Or shows clearly how illusory those confusing labyrinths are. There is hardly another wine region where knowledge of the back-story is so critical to understanding the wine, for it is impossible to understand burgundy without reference to the place it comes from and the people who make it. 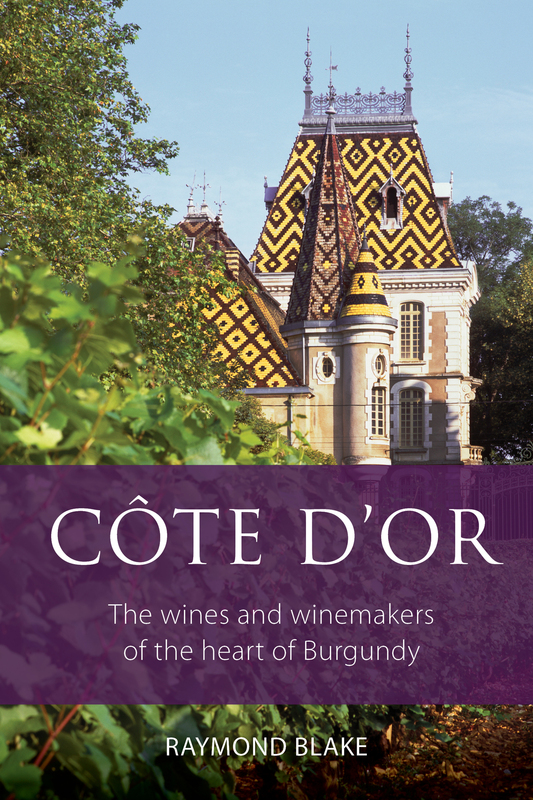 Côte d’Or tells the whole story of Burgundy and paints a complete picture of life there: the history, the culture, the people, the place, the geography and the climate. Blake transports the reader to the heart of Burgundy.